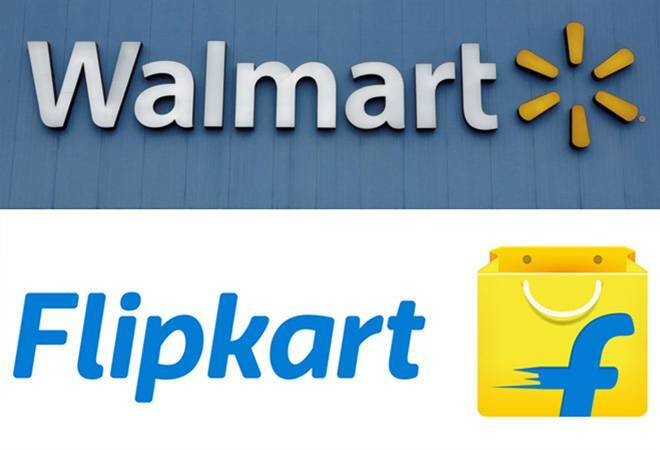 The Walmart-Flipkart deal is expected to help the government rake in up to Rs 13,700 crore. The deal is signed, the Competition Commission of India (CCI) gives its the green signal, and now the taxman is waiting in bated anticipation. We are talking about Walmart's acquisition of 77 per cent stake in Flipkart in lieu of $16 billion, which was announced in May. According to The Times of India, the deal is expected to help the government rake in up to Rs 13,700 crore, following the global retailer's discussions with income tax authorities. At least two senior Walmart executives, Executive VP and Treasurer Pedro Farah and Geoff Adams, senior director of M&A tax, met senior income tax officials to assure them that the company will ensure that tax dues accrue to the government. Sources told the daily that Walmart, the world's largest retail firm, will deduct $1.5-2 billion as taxes before issuing cheques to stakeholders who have made an exit. US-based investors Tiger Global Management, Accel Partners and eBay, South Africa's Naspers Ltd, China's Tencent Holdings and Japan's SoftBank have all made huge profits from this deal, and so has co-founder Sachin Bansal. Bengaluru-based Flipkart had shared its share purchase agreement with the tax authorities in May, and they are currently going through them with a fine-toothed comb. An income tax official told PTI that the department is calculating the tax rate that would be applicable for investors selling their shares to Walmart. "For that they have to ascertain which investor has routed money from which jurisdiction and when and whether any treaty benefit would apply to them," the official added. Consider SoftBank, Flipkart's largest shareholder and the last one to agree to sell its 20 per cent stake to Walmart. Its CEO Masayoshi Son had disclosed at a press conference in May that SoftBank's $2.5-billion stake in Flipkart was worth $4 billion - a whopping 60 per cent return on investment in nine months. But on the flip side, the Japanese conglomerate's tax liability is estimated to be around $600 million. Meanwhile, the Indian tax authorities are keeping an eagle eye on the proceedings. The mega deal is getting heightened scrutiny because it triggers off different tax treaties, leading to plenty of confusion. After all, Flipkart's parent is registered in Singapore and many of the investors who sold their stake in the company to Walmart are non-residents. Above all else, the government wants to avoid a repeat of the protracted battle over the Hutchison-Vodafone deal. To remind you, in February 2007, Britain's Vodafone had acquired a 67 per cent stake in Hutchison Essar from Hong Kong-based Hutchison Group for $11.2 billion through a maze of subsidiaries based in the Netherlands and Cayman Islands. No tax was paid on this deal to Indian authorities since the transaction involved companies located overseas. However, seven months after starting its India operations, Vodafone was held liable for capital gains tax on the deal and the taxman demanded Rs 11,000 crore. The matter went to court and the Supreme Court ruled in Vodafone's favour, saying it was not liable to pay any tax over the acquisition of assets in India from the Hong Kong-based Hutchison. Not to be outdone, the government then amended the Income Tax Act in 2012 to be able to retrospectively tax any transfer of shares between two non-resident entities that results in indirect transfer of assets in India. The case is still under arbitration but under the amended rules it is mandatory for all entities - resident and non-resident - having a business connection in India to withhold tax. "We were told that the deal would be closed within a week of the CCI approval. So we expect them to file with the IT authorities seeking withholding tax certificate under Section 197 within a fortnight," an income tax official told PTI. Under Section 197, any NRI selling shares can give reasons to Indian authorities as to why they should be taxed at a lower or nil rate in India. The department has also been reviewing Section 9 (1) of the Income Tax Act to see if the benefits under the bilateral tax treaties with countries like Singapore and Mauritius could be available for foreign investors selling stakes to Walmart.